SPECIAL PRICING LIMITED TIME ONLY!!! If you need a Boca Raton electrician to do your electric repair, RCS Electrical Services is here to help. As your electrical contractor, we are committed to service. We are experienced and ready to assist you. Nosotros tambien hablamos Español, y estamos a la orden para resolver sus problemas electricos. It may be that you are experiencing an electrical emergency at home, your kitchen lights or plugs stopped working, or your main electrical panel has a breaker which has decided to trip. Or maybe you are in the process of rewiring your kitchen, your bathroom, or just plain rewiring your entire house. No matter what type of electrical problems you are experiencing, we are able to help you. Your Boca Raton electrician, RCS Electrical Services, is also experienced with, swimming pool lighting and wiring, electrical service repair, generator installation, and many other electrical services. Your Boca Raton electrician is a kitchen rewiring specialist. Our kitchen lighting packages are not only beautiful, but functional. We place emphasis on your work surfaces, around the counter top, and focus our recessed lighting there, so that you have plenty of illumination right there, where you need it most. And if you want something fancier, we can give your under counter space, soft gentle lighting, which can give you more illumination when you are preparing those special meals. It also can be dimmed later, for those after meal quiet moments, when you can do without the glare. Don’t delay, call us now! Don't forget to outfit your electrical panel with a surge protector. This is a small investment that packs major protection for your home all your sensitive electronic equipment such as flat screen tv, computers, etc. A surge protector install right inside your main electrical panel and acts as a sentinel, preventing all surges from entering your home and destroying your wiring, appliances, and possibly causing a fire. Electrical surges are high sudden voltage fluctuations associated with storm activity. When the power lines are striken by lightning or toppled er due to falling trees or high winds, they generate sudden high voltages. These dangerous voltages can enter your home and destroy or cause damage to your electrical system. Don't lose your flat screen TV, computers, and electronic devices in a lightning storm. Protect yourself with a surge protector. Solar panels are no longer priced so high that they are out of reach from typical consumers. Today a small roof top solar energy system can be purchased and installed for under $9,000.00. If you had an electric car, and proceeded to do a solar panel installation for your property, you could avoid having to pay for gasoline, and could save up to $450.00 per month. This could be achieved by a combination of lowering your electric bill and net savings on not having to purchase gasoline for your car again. In three years, a system such as this, can pay for itself; creating a free stream of cash for years to come. Consider the combination of an electric car and solar panel installation as a sound investment which start paying dividends the instant you turn those solar panels on. If you have a location with great southern exposure, whether on your rooftop, or at ground level, and want to invest in a solar energy system that can save you money on your electric bill, contact us and let us show you how these solar panels can make make money for you. Contact us for all your solar energy needs. Standby Generator Service, Repair, Installation and Maintenance. 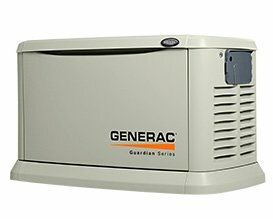 Standby generators are necessity in your household or business, if you can’t afford to be without power, for even the smallest amount of time. Whether you have an elderly person at home, that is on oxygen, a business you run from home, or you run an operation that needs constant power, a standby generator can be a great tool to own. These machines are completely automatic, watching the power line status every second of the day and night. If they sense that the power lines have failed, they start and within seconds, your property is operating as if you were still connected to the grid. When disasters strike, you can feel good that you have planned ahead, and protected those things that matter most to you. 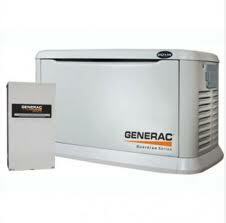 Your Boca Raton electrician is also an expert in the ways of standby generators. Whether you are having new one installed, or you require maintenance or repair for your existing standby generator, his expertise will shine every time. You will feel confident knowing that not only you planned well, but also have a strong technical support person by your side, for times when unit needs to be serviced. Contact us with any questions or concerns regarding standby generators. If you are a building doing commercial construction in Boca Raton or Palm Beach county, and need a commercial electrician, please call us. We have the expertise and the technical manpower to help you. Or maybe you are trying to open your own business. It may be a restaurant, a store front, or a warehouse. It doesn’t matter, if you need electrical help, either building or maintaining these structures, please call our company. 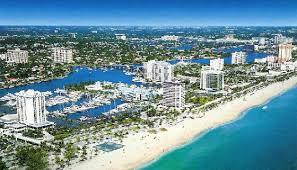 Your Boca Raton electrician, RCS Electrical Services, will be most pleased to provide assistance to you. If you manage or operate an industrial or manufacturing facility, your Boca Raton electrician can also help you with those projects. We are able to provide consulting and installation services in a variety of industrial settings, and we have extensive experience with control systems. If you have a relay logic, PLC programming, motor control, machine wiring, or control panel problem, we would like to offer our services to you. We also have engineering capabilities, in case that you need an expert designer on your project. Contact us when you need this type of service. RCS Electrical Services has expertise in the area of electric motor repair, and electric motor installation. Contact us whenever you need technical assistance in this area. How Soon Do You Need Service? If you live in any of these cities, or anywhere in the Palm Beach County area, and need our help, please call the number below.